图库插图: seamless background ,Thai boxing. seamless background ,Thai boxing. 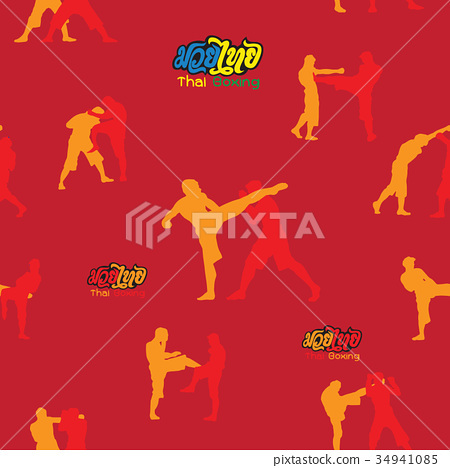 Muay Thai martial art vector illustration collection. Muay Thai (Popular Thai Boxing style) text, font, graphic vector. Muay Thai beautiful vector logo for gym or other.